JTBC’s new reality program “Stranger” (unofficial translation) will spotlight the struggles of Korean celebrities living abroad. 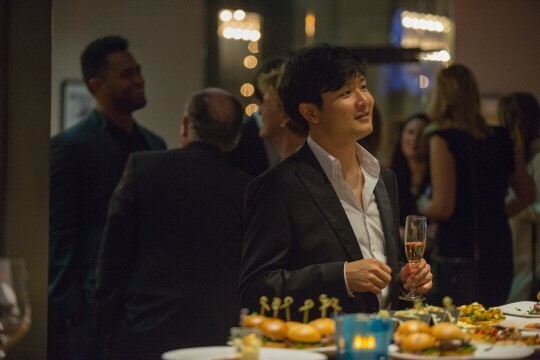 The show, which kicks off Saturday at 6 p.m., is set to feature newcomers to reality television including baseball player Choo Shin-soo, pianist Sunwoo Ye-kwon and actress Seo Min-jung. Scheduled in the same time slot as MBC’s popular variety program “Infinite Challenge,” “Stranger” is up against a tough fight for viewers. But the show’s strength lies in its “portrayal of human stories,” producer Hwang Kyo-jin said in a group interview Thursday in Sangam-dong, Seoul. The show will trace the sense of unfamiliarity each person faces while making a living abroad. Pianist Sunwoo, who became the first Korean to win gold at the Van Cliburn International Piano Competition last month, is “less neurotic” than most classical artists, said Hwang. Amid the deluge of celebrity reality shows, Hwang says “Stranger” is unique in that it focuses on the feeling of displacement.